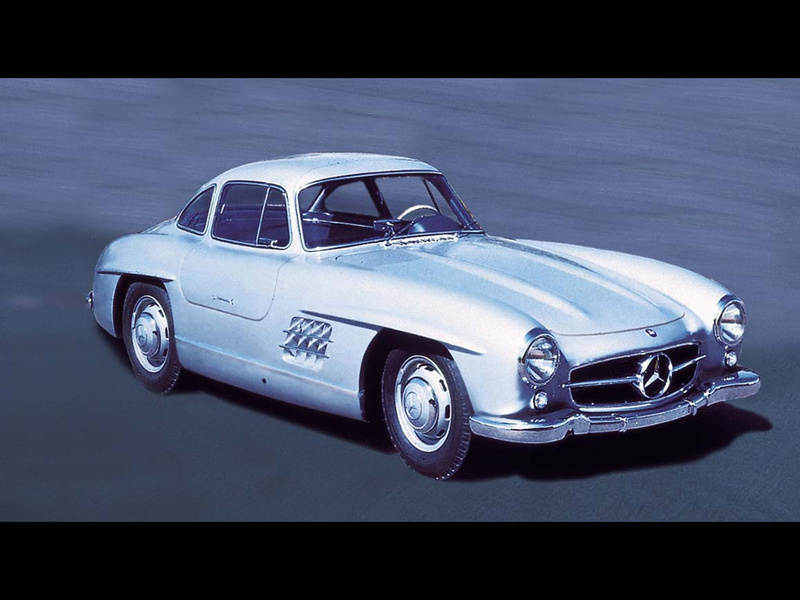 In March 1952, Mercedes Benz presented the 300 SL ((W194) racing sports cars prototype. 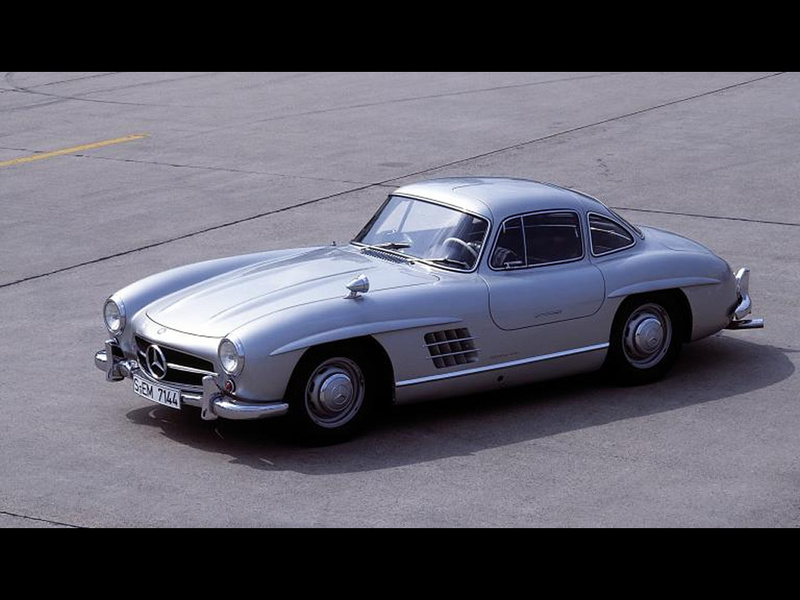 The same year, the race team scored one-two-three-four finish with the 300 SL on the Nurburgring followed by a victory at 24 Hours of Le Mans and the "hair raising" Carrera Panamericana. Max Hoffman, Mercedes Benz importer to the U.S. market, requested the Company Board of Directors to produce such a sports car, at least for the American market. 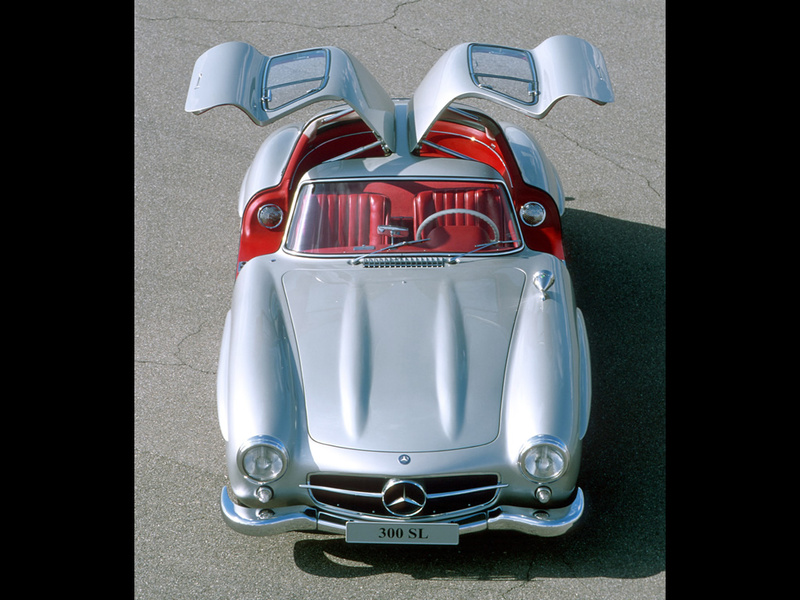 On February 6th 1954, Mercedes Benz presented the 300 SL (W198), the new civilian super sports car based on the W 194, at the International Motor Sports Show in New York. What none of the showgoers at the time realized was that they were witnessing the debut of the most famous Mercedes Benz production car of all times. 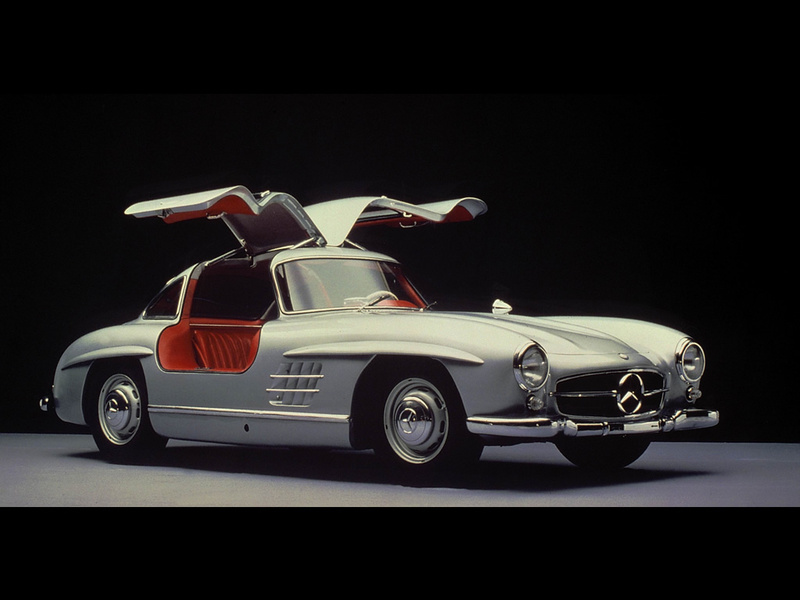 It was soon nicknamed the "gullwing" model. The six-cylinder engine featured a number of modifications from the one of the Mercedes 300 sedan, one of which saw the carburetor replaced by a direction injection system - a technical advance which was years ahead of its time. This new technology boosted output to 158 kW (215 hp) and the car's maximum speed up as far as 260 km/h, depending on the rear axle ratio. Customers could order their SL with a choice of five different ratios. The standard 1:3.64 variant was set up primarily to deliver rapid acceleration and capable of 235 km/h. The 1:3.89 and 1:4.11 ratios were good for even faster acceleration, whilst the 1:3.42 option offered a higher top speed. This figure rose still further - to 260 km/h - when the ratio was set at 1:3.25. However, this "resulted in greatly reduced acceleration, making the car less enjoyable to drive in downtown city traffic," as the sales information pointed out. 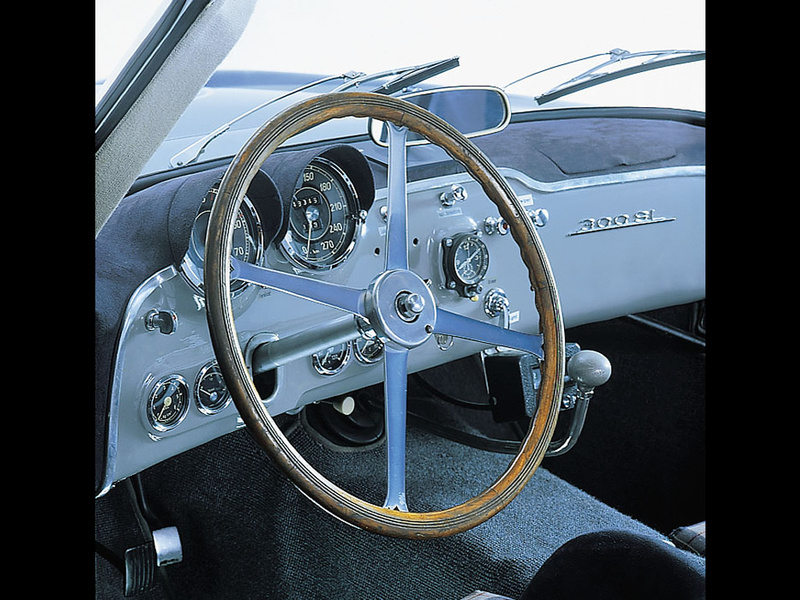 The 300 SL hit 100 km/h in just 10 seconds, with car testers at the time measuring fuel consumption at an average of 15 liters per 100 km. A 100-liter fuel tank was positioned at the rear of the car and could be enlarged to 130 liters at an extra charge. The engine had to be tilted 45 degrees to the left in order to squeeze under the hood of what was an extremely flat car, thus reducing the amount of space in the passenger-side footwell. 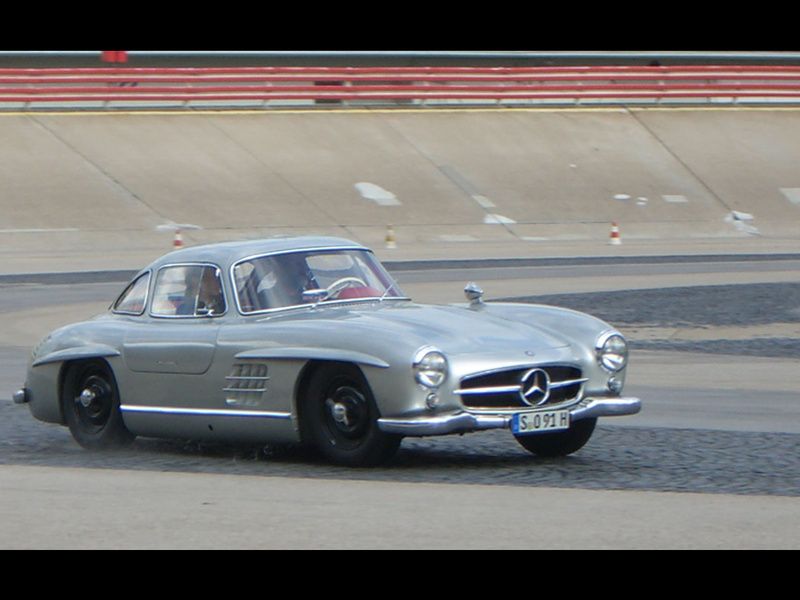 The SL's center of gravity was almost exactly in the middle of the car, laying the perfect foundations for fast and precise cornering. 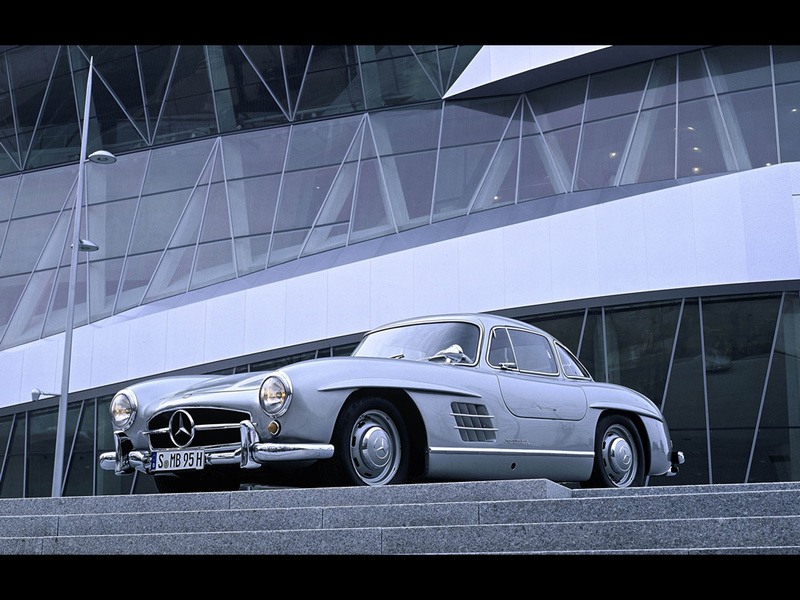 The first units of the 300 SL were sold in Europe in 1954, whilst Maxi Hoffman received his first customer car in March 1955. A total of 1,400 Gullwings rolled off the production line, the lion’s share of which – some 1,100 units – found their way to the USA. Hoffman had thus assessed the response of the market to the car extremely well and had every right to be satisfied with his work. 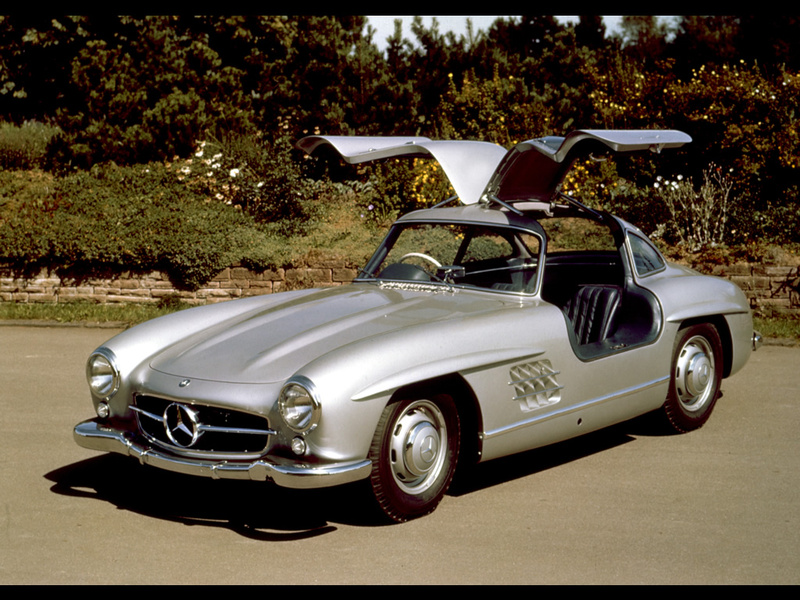 In 1957, a 300 SL roadster took over from the gullwing coupe.